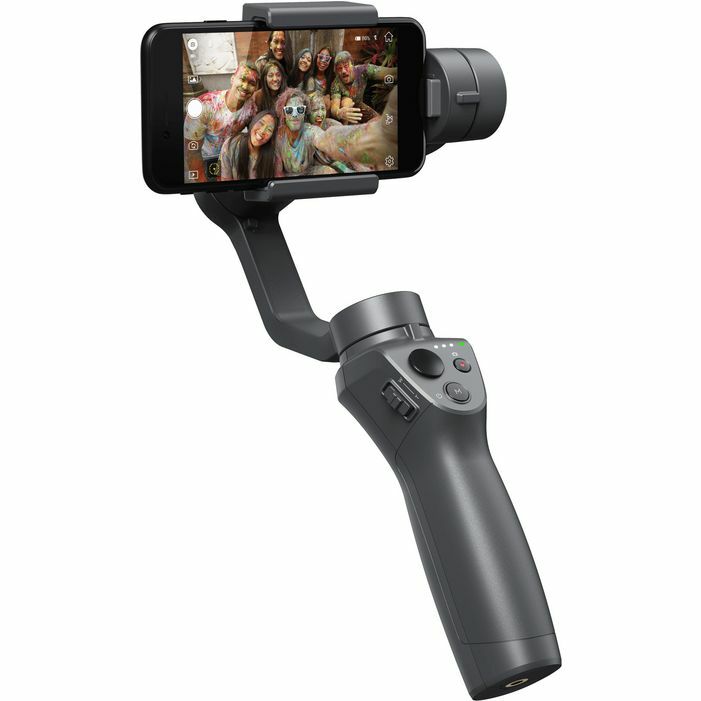 The Osmo Mobile 2 was built to film on the go. Just select your subject and ActiveTrack will follow, using built-in sensors and a brushless motor to ensure stability. Whether it�s small vibrations from a skateboard or more intense instability from jumping, this smartphone stabilizer stays steady. For aspiring filmmakers, a new built-in zoom slider lets you completely operate your smartphone camera from the handlewith more fluid, cinematic zoom. You can even produce dollyzoom � a visual effect that only professional film sets could produce. Consumption: 1.2 W * Under ideal conditions with the gimbal fully balanced. Operating Time: 15 hr* Under ideal conditions with the gimbal fully balanced.